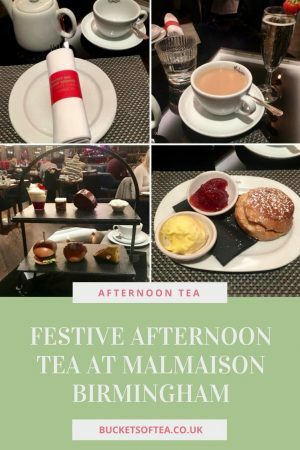 I have been for afternoon tea at Malmaison before and found it to be a really nice selection of dishes. 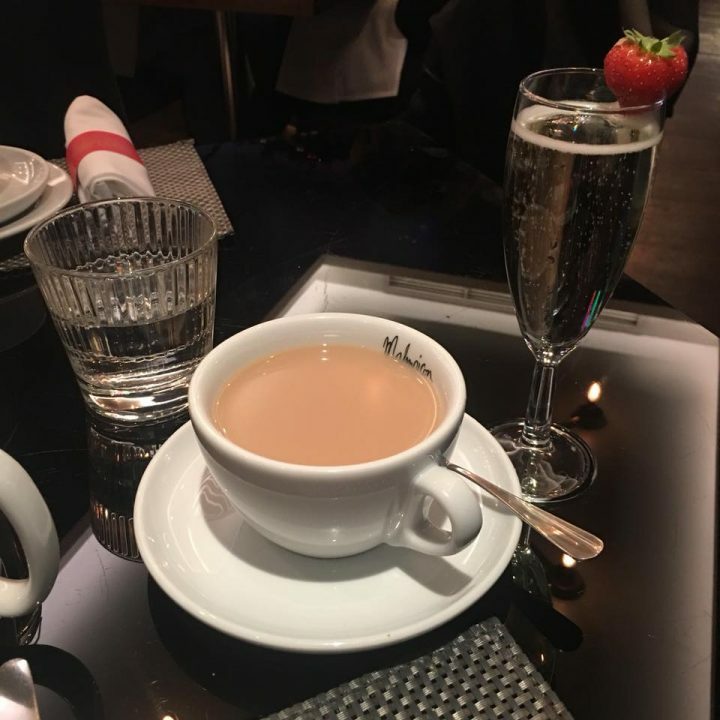 The festive menu includes a glass of prosecco. and unlimited tea or coffee. 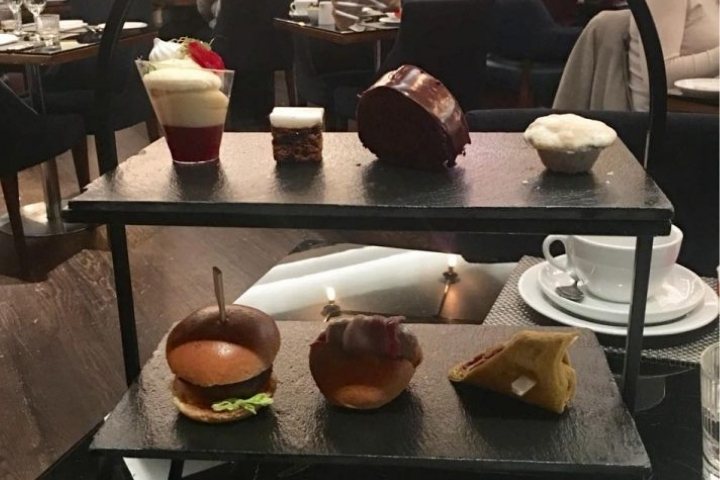 The tea was served on a modern metal and slate stand which is ideal as a Malmaison Afternoon Tea has quite a modern feel to it with sliders and brioche buns instead of sandwiches. 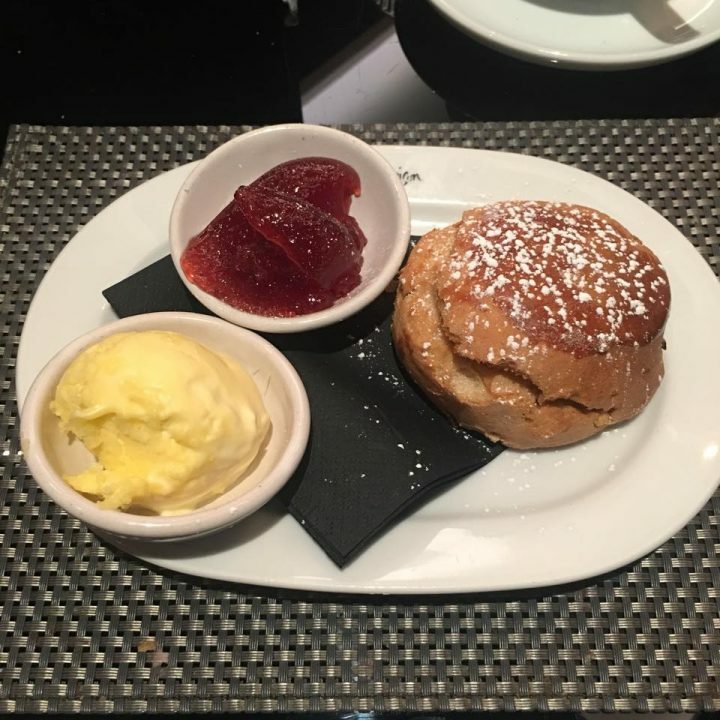 The fruit scone is served with jam and clotted cream. The yule log is a very decadent dark chocolate and the ginger biscuit is very light. 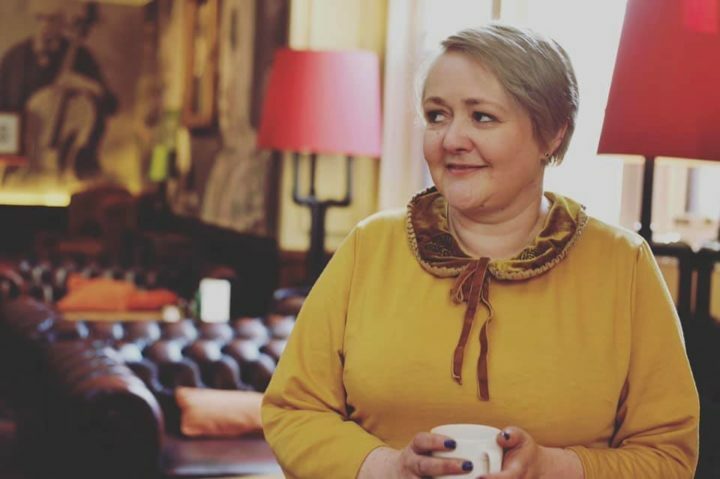 I was a little disappointed with the sherry trifle as I couldn’t taste any sherry. 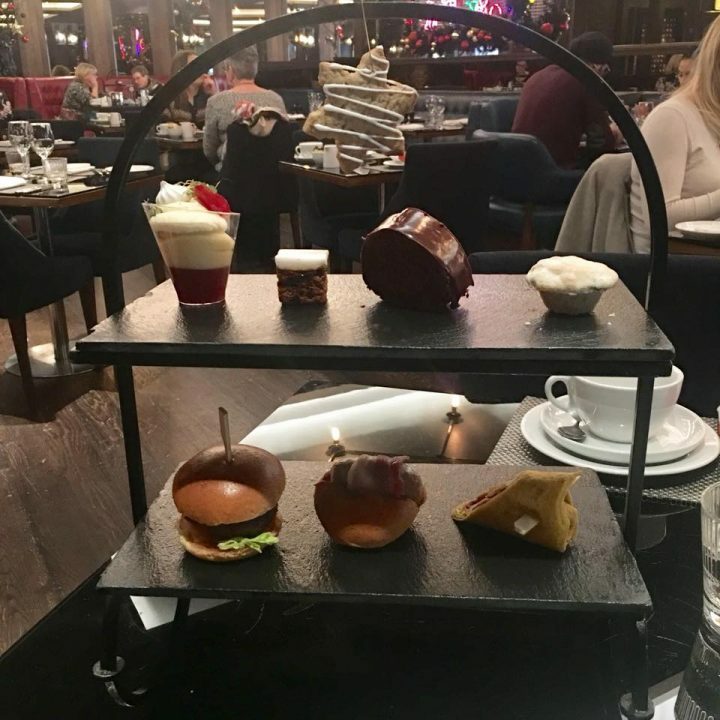 The festive afternoon tea is priced at £25 per person and is bookable 24 hours in advance. 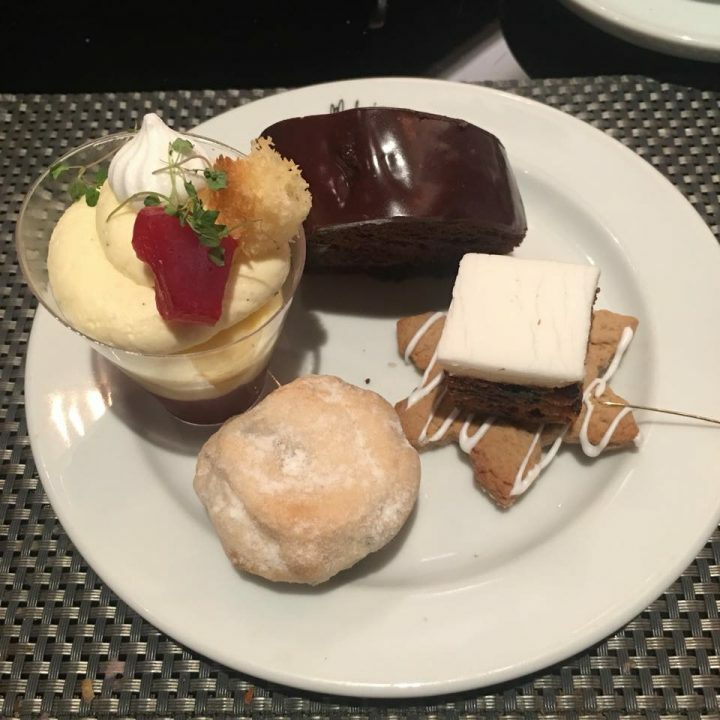 For more afternoon tea reviews please see here. It looks incredible! 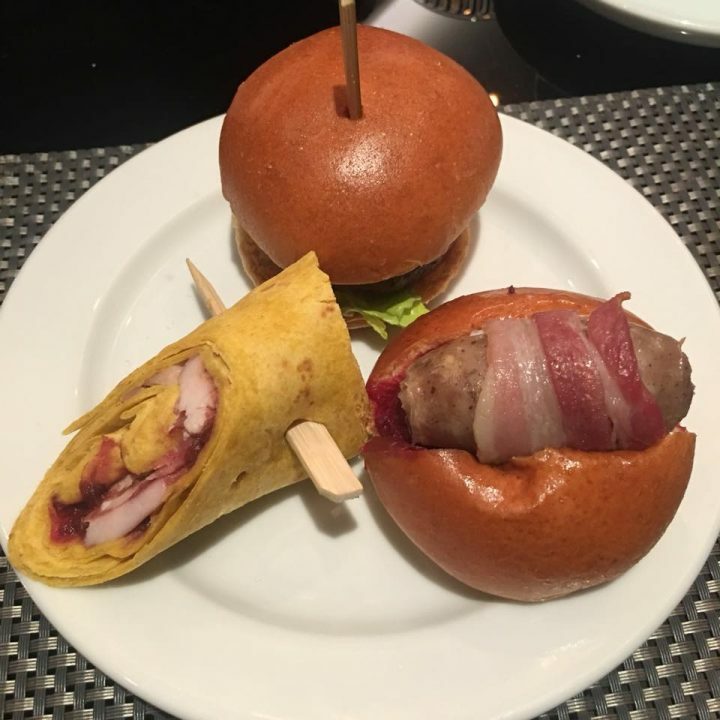 I often find afternoon tea leaves me still feeling hungry as the portions are so small but it looks like you get a good variety and nice sized portions.